This entry was posted on February 27, 2011, 8:01 pm and is filed under Open Mic Night Coverage. You can follow any responses to this entry through RSS 2.0. You can leave a response, or trackback from your own site. i am glad that i find this place to tell that how exciting was to be there,, can’t wait for the next gig..
wow. Free admission!! 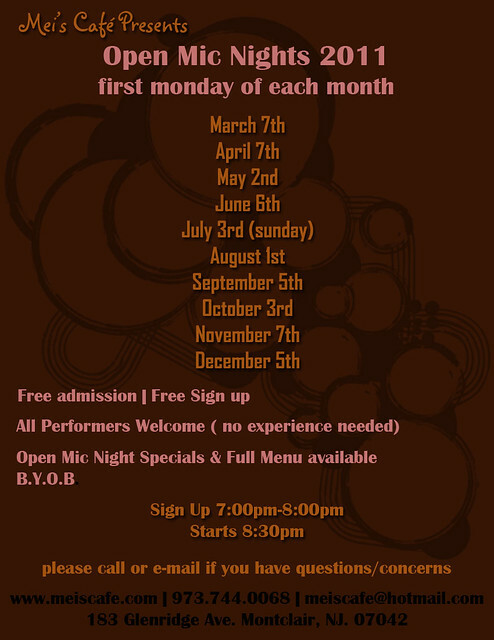 I will be very happy if I can be a part of these open Mic Nights.